Perspectives: What the Publishing Process Looks Like to a Writer | LADY. I'm not an expert in the publishing industry. I'm just a writer. Just a reader. Just a woman with a dream, like many of you. 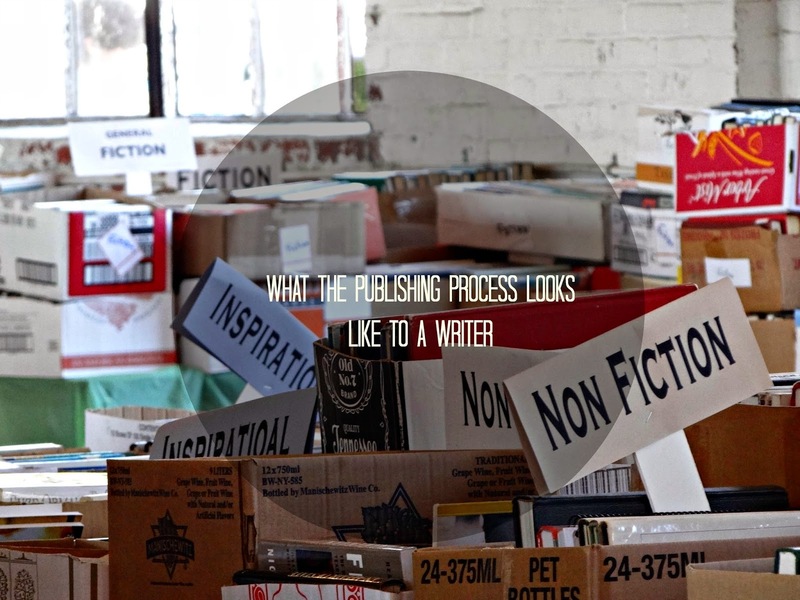 And the publishing process looks different to different people. You know the old saying, "Those who can't do, teach"? Well, not only do I believe that's a load of bull, I also believe that the process of "doing" takes a lot longer to accomplish than most people know. It certainly takes a lot longer than I first expected. When I started writing for more than just homework assignments, somewhere around the time I first read The Diary of Anne Frank and started sixth grade, it immediately became the sort of thing I could escape into without fear of retribution or rejection. It was my private audience for the things that were happening in my world at the time: my parent's divorce, my older siblings becoming (without my consent) adults and doing adult things, and my little sister surprising us all with her arrival. It remained my private audience through two messy breakups, graduating high school, losing and gaining friends, starting college, falling in love, graduating college, and getting married. Blogging took over afterwards and there, in that space, I have a forever record of the early years of my marriage and these brand new blossoming days of motherhood. The past is gone, but the words remain. Eventually, I realized that writing was also a talent of mine, not just something I enjoyed. And when I graduated from Georgia Southern University in 2007, I was ready to take on the world. That summer, I started my first novel about a girl in college, which was heavily inspired by my experiences in Statesboro. I basically word-vomited on the virtual pages of my laptop for three months and finally just stopped around 101,000 words. I printed out the book, put it in a binder, and it's hiding in a box up in my attic these days. My second novel, which I worked on while also writing my first book during my internship with The Storyline Group in 2011 and working a full-time job, was the story of a young girl who finds out the truth about her birth and goes on a journey to discovering the hows and whys of what happened. After more than a dozen queries and the same amount of rejections, I put that one away, too. Something wasn't right. I didn't know what it was, but I decided later that I'd only written those first two novels out of the "need" to be writing. This isn't a bad thing; on the contrary, it helped me hone my skills and get to my third novel, the one that actually says something I want to say about the world. I pitched my third novel at the Atlanta Writer's Conference back in the fall of 2012, and not only did I win the Best Manuscript Submission Award, I also received a book request from the agent who had critiqued my sample pages. I was elated! I left the room after our meeting, found an empty hallway, and sat down on the floor to cry because this was it! The moment I had been waiting for! I was going to be published! Of course, I knew that a full manuscript request was not equal to a publishing deal. But it was the closest I had gotten up to that point and, considering the agent's rave reviews of my sample pages, I thought for sure she'd love the rest of the book. And she did. Just not enough to be my agent. Her email back to me, two months later, the same week in which I lost my job, was a huge disappointment. She was kind, gracious, encouraging. Complimentary, even. She saw my talent, but didn't connect with the story. So I asked if she would consider taking a second look at it once I did some (major) edits. She said absolutely. So I spent the next eight months, all the while working freelance and cooking a baby in my uterus, completely overhauling the main antagonist which, in turn, overhauled most of the book. I submitted it to her again. And, again, she said it just wasn't her thing. This is the part of publishing that writers don't immediately understand when they sit down to write a book. We all know rejection is part of the process. But what we don't know is that it pulls from places we didn't know we had inside us. It means missing some important moments with our families because we just need to finish this chapter. It means that the story might be good, maybe even exceptional, but the agent you're querying just isn't the right one. And it's up to you to keep searching, keep querying, and keep submitting in order to see the stars aline with that one person, the one agent who will say "Yes". "We read your submission and are interested in seeing more. Could you please send us your full manuscript?" There's no telling if they'll like the rest of the book. But if they do, this writer is going to see her first novel published after seven years of wondering, wishing, and hoping. And that day will come for you, too. I promise. Just keep working. Keep reading tons of books from all types of genres. Don't forget to edit (a hundred times, if needed). And look for opportunities you might not have considered before. There's no special formula. There's just hard work. If you've got a publishing story to share, send it to us at ladyliterarymag@gmail.com. We'd love to hear from you and put it in one of our upcoming issues!